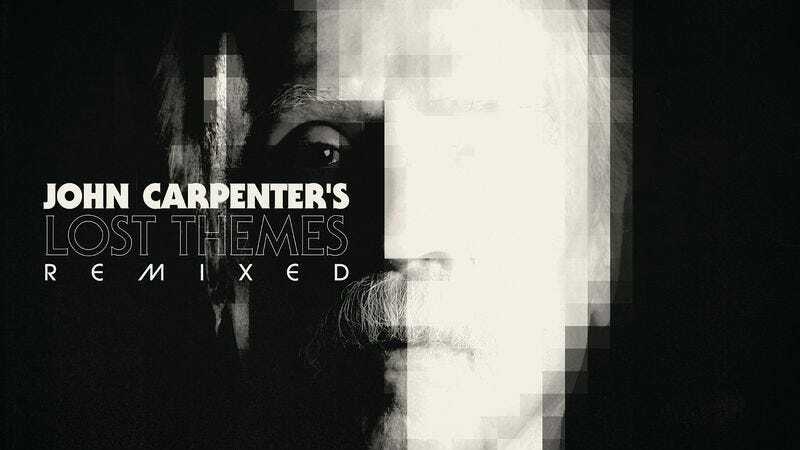 Last year, John Carpenter released his debut solo album, Lost Themes, which Carpenter recorded with his son Cody as well as his godson Daniel Davies. (There wasn’t a Coupe de Ville in sight.) A collection of songs with that undeniable Carpenter touch, the moody synths and driving beats on Lost Themes all felt like the scores to films that only exist in Carpenter’s imagination. And this October a remix album, Lost Themes Remixed, will be unleashed on audiences just in time for Halloween. The record will featured alternate versions of tunes from Lost Themes as concocted by Prurient, Zola Jesus, Blanck Mass, Silent Servant, and more. The album will of course be released on vinyl, as is the norm these days. The opening track, a remix of “Purgatory” by Prurient, is available online; the new version of the song has a certain dubstep influence and very little of the melody of the original track. It’s a very different approach to the material, kind of like Rob Zombie’s remake of Halloween. Lost Themes Remixed hits record stores October 16th via Sacred Bones Records.